Headline act on the Saturday will be Gary Mullen and The Works with a Night of Queen. The ever-popular Invercairn Gala is celebrating its 20th anniversary later this year. Having managed to run a week-long festival come rain or shine, the gala has been able to donate nearly £200,000 to 60 local organisations and projects. 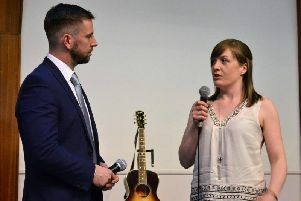 To celebrate its 20th anniversary, gala organisers have again stuck to their winning formula, but have planned two ‘old school’ favourities - the Hurdy Race on Sunday, August 5 and the extremely popular Talent-less Show - which, according to many, is the highlight of the week. Committee chair Peter Tair told the Herald: “The entertainment at the weekend has also gone up a notch and we have two tremendous bands playing on the Friday evening. The Real Adams is a very successful Bryan Adams tribute band, and to finish off the night, and playing for the first time at the gala, are Wireless who are an extremely successful band with a playlist to have everyone dancing the night away. “On Saturday, however, our pièce de résistance headliner act is Gary Mullen and The Works with a ‘Night of Queen’. Peter said the Invercairn Gala continued to be supported by a hugely-committed group of committee members and other helpers. “Without their input, we would not have been able to reach this milestone anniversary,” he said. “It is great to see the young children who attended all those years ago now see their own children start coming to the gala week. As a lot of organisations similar to ours will confirm, the show goes on and never stops and we already have our bands booked for 2019 - who are two of the best ever bands we will have had to play at our marquee and who are delighted to be returning." Saturday, August 11 - The Big Gala Day with host of attractions including bouncy bastles, crafts, baby show, archery, donkey rides, open 5-a-side football, zorbing, live bands, plus lots more. You can contact the organisers through the Invercairn Gala Facebook page.